THANK YOU for making our efforts possible and for stepping out in faith to say enough to the profane treatment of God’s “Image Bearers,” the pre-born child in the womb. 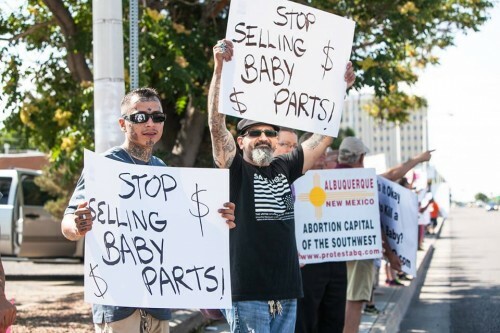 Albuquerque’s participation in the #ProtestPP event was the largest protest of it’s kind of Planned Parenthood in New Mexico with about 600 in attendance. 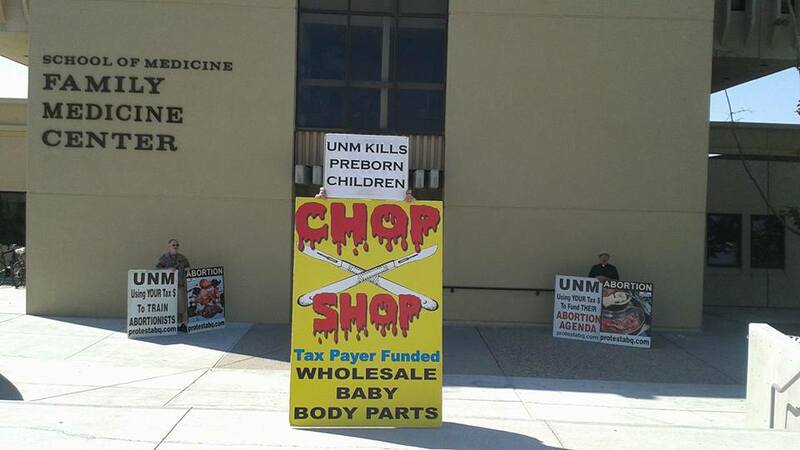 The voice of New Mexicans is getting louder as we stand together in solidarity for the babies. For many, the #ProtestPP event was the first experience of a protest. Some asked us beforehand what it would be like. Here is an encouraging testimony:A young married couple reported to us that they imagined the protest would consist of yelling and confrontation. When asked what their impression of the protest was afterward they stated, “It was powerful to be among so many pro-life people who were simply standing up for what they believed in, that all life is sacred. The media paints an inaccurate picture of pro-life people who protest, this protest was peaceful and powerfully effective in getting the truth out by simply taking a public stand.”Our protests are powerful and effective, always peaceful and law abiding. If you are able, we invite you do join us and see for yourself. Your presence alone has the ability to change a persons mind about abortion. CLICK HERE for another testimony from a Pastor who also attended this protest. 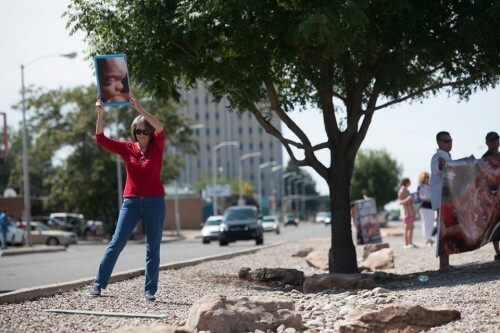 We held other protests at various locations throughout ABQ such as the UNM Medical School campus where abortions are performed, the late term abortion facility and weekly at overpasses where hundreds see the truth about what abortion does to pre-born children. 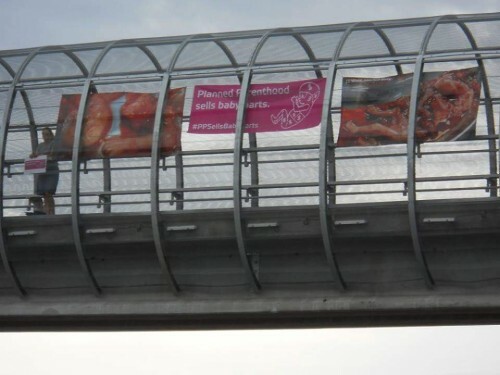 No one else in New Mexico is doing the research and work that we are doing to make this state, “Abortion Free” by exposing the deeds of darkness and holding those who profit from, support and condone abortion accountable. You have made it possible for us to be working with two attorneys on groundbreaking projects that will cripple the NM abortion cartel. 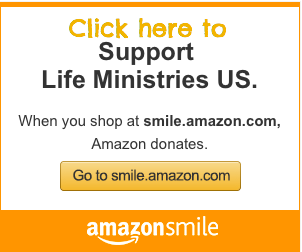 Your financial partnership with us helps us reach our goal of an abortion free New Mexico. As the summer draws to an end we are looking for individuals and churches who want to see New Mexico abandon it’s abortion agenda and affirm life, to become monthly partners with us. Maybe you’re that person who has been waiting for the opportune time to give? We need your support now more than ever! Tithing to our ministry will bless you and us. This is the norm at our protests, peaceful civility that has so much potential for saving lives and changing minds. Here is a video that was captured by ABQ RAW outside of Southwestern Women’s Options late term abortion facility in Albuquerque, New Mexico.